Our mission is to provide transportation services responsive to the needs of Buncombe County residents. Our vision is to be a leading regional partner in an accessible, multi-modal, and efficient transportation network. 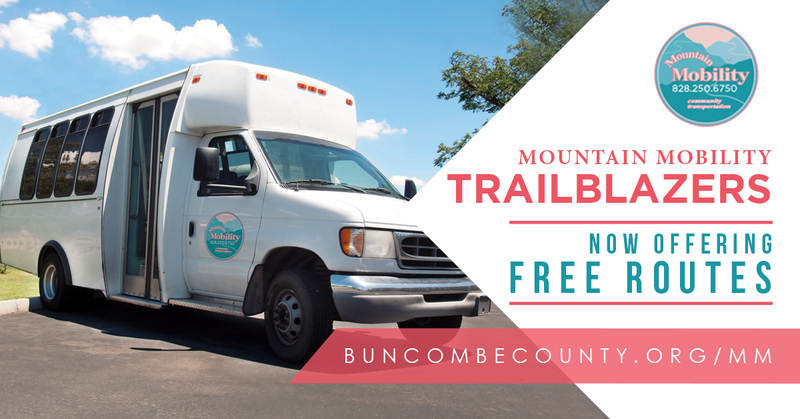 Mountain Mobility, Buncombe County’s Community Transportation System,was established in 1989 to increase the level of transportation services available to Buncombe County citizens. Mountain Mobility works with about 30 human service agencies and organizations in Asheville and Buncombe County to coordinate transportation efforts for those residents in need of services. Mountain Mobility provides ADA Complementary Paratransit Services for the City of Asheville’s ART system. Mountain Mobility provides deviated fixed-route public transit routes open to the public (Trailblazer Routes). Mountain Mobility also provides information and referral services to individuals who may need or desire other mobility options, including other local and regional public transportation services. The Community Transportation Advisory Board (CTAB) serves as an advisory board to staff and the Board of Commissioners and is actively involved in system planning and operations. Description Board formed by Resolution 19282, April 4, 1989 and modified by Resolution 98-3-11 in March of 1998. This Board assists in the implementation of the Community Transportation Program. A Community Transportation Service Plan (CTSP) takes an in-depth look at public transit conditions and options and decides where to allocated transit resources over the next five years. 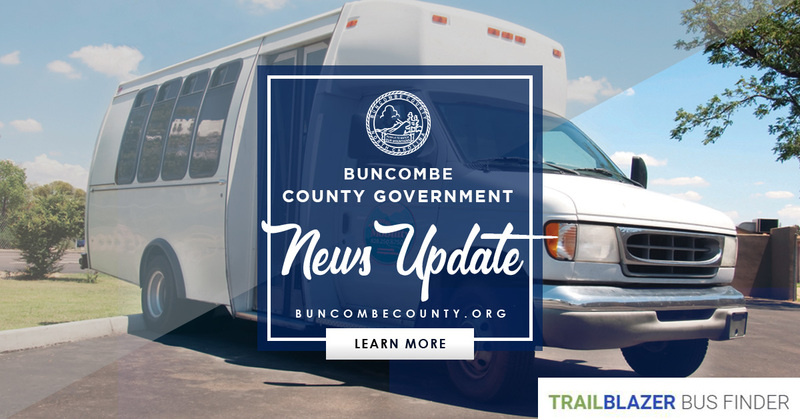 The NCDOT Public Transportation Division requires Buncombe County have this plan to receive state funding support for Mountain Mobility. The five-year plan is a strategic response to the projected mobility needs of the general public and targeted populations in the service area, and aims to improve service delivery and management. Descarga la Guía del Viajero para obtener la información más reciente. Service hours differ for the City of Asheville Complementary Paratransit Service as detailed in the City of Asheville's Paratransit Rider’s Guide. Mountain Mobility is administered through a contract with Land-of-Sky Regional Council and operated through a contract with McDonald Transit Associates, Inc.
Asheville’s Transportation Department is dedicated to providing for the safety, health, mobility, and quality of life for Asheville citizens. A nonprofit that provides personal, caring support and assistance with the challenges of growing older for those ages 60 and older. Apple Country Public Transit provides bus service throughout the the City of Hendersonville, Town of Fletcher and Laurel Park. FBRMPO is a partnership between local and state government that makes decisions about transportation planning in urbanized areas. GO Mountain Commuting offers sustainable commute solutions for WNC. Haywood Public Transit information is available through Mountain Projects, Inc.
North Carolina Public Transit Association represents public transportation providers in all 100 counties of North Carolina. The N.C. Department of Transportation’s Public Transportation Division works to foster the development of intercity, urban and community public transportation for all North Carolinians. Share the Ride helps you quickly and securely find commute partners anywhere in North Carolina.